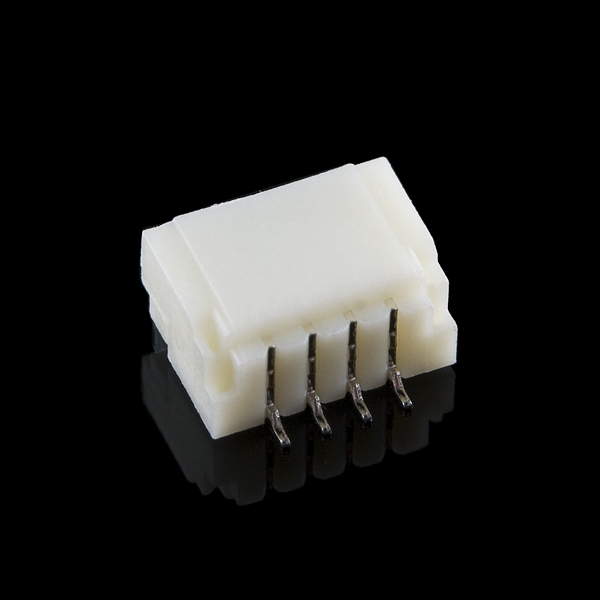 Here is a four pin horizontal 1.0mm pitch connector. It is useful if you need something very tiny as a connection. 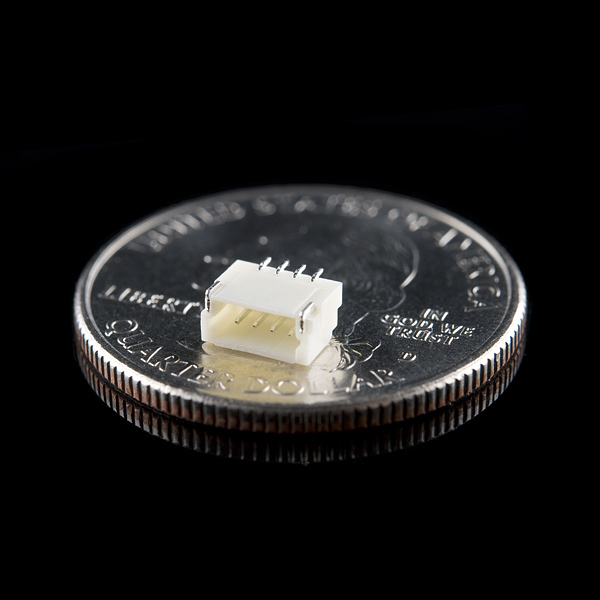 These are not the standard JST type connectors we use on most of our boards, but are actually the much smaller JST-SH type. Check the drawing below. Where can I find the plugs to match these in 4 and 6 pin? Doesn't look like SFE carries just the connectors, but they do have ones pre-assembled with wires. Try a search for "jst sh"
Digikey and the like would have loose connectors. 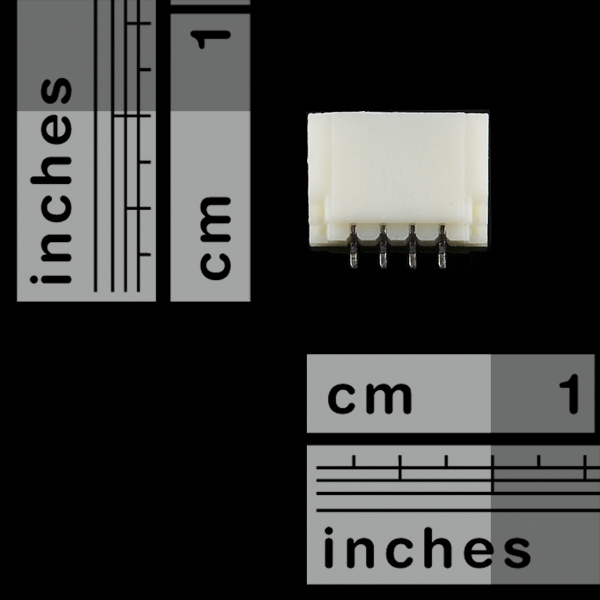 Do these connectors correspond to M04SMD2 (1X04-1MM-RA), under M04 directory in the sparkfun eagle library? Does this connector is the same than this https://www.sparkfun.com/products/10359? I need a JST connector that resists heat during reflow. Thanks. I've been looking for something like this for a project. Are there corresponding plugs for these connectors?